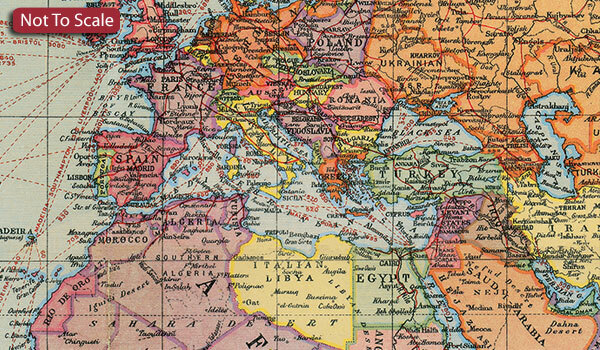 This map from 1920 reflects the changes in political boundaries and the new world order in the aftermath of World War I. 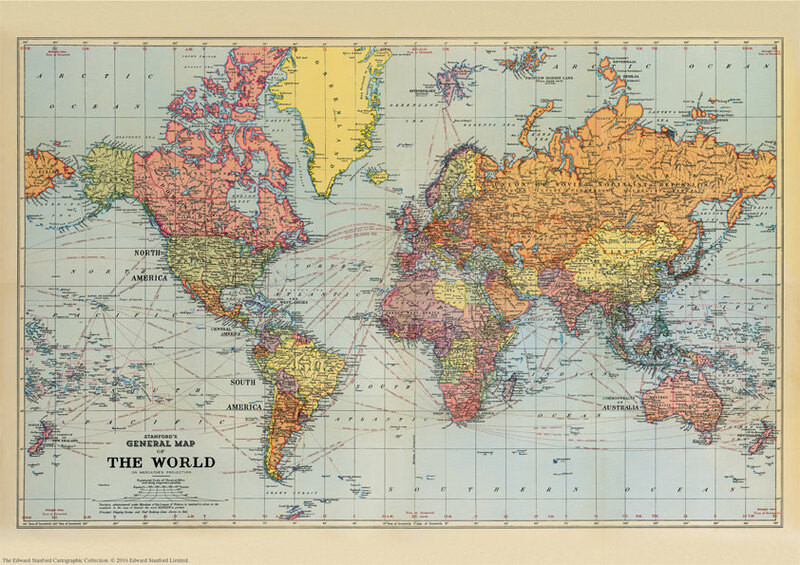 The colouring and annotations to place names not only indicate dominions and colonial possessions, with the British Empire in its customary red, but also show territories administered under the Mandate of the League of Nations. On land masses topographic information is provided by names of mountain ranges and of an unusually large number of rivers. Main railway routes are also marked. On seas and oceans, principal shipping routes are shown annotated with distances. The map has latitude and longitude lines at 15 degree intervals and for each longitude line indicates the time difference with the Greenwich Meridian. The map is drawn on a Mercator’s projection.